If you don’t find an answer to what you’re looking for, please don’t hesitate to contact us. 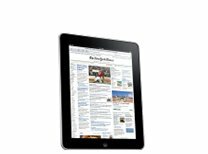 Click on the questions to read our answers. I just bought a new car, and I’d like to try AMSOIL motor oil. Could using AMSOIL void my new car warranty? Absolutely not. Whether the motor oil is petroleum based or synthetic will not affect warranty coverage, as long as the oil meets the manufacturer’s requirements (or exceeds the requirements in the case of AMSOIL). Absolutely not. Vehicle manufacturers recommend using motor oils meeting certain viscosity grades and American Petroleum Institute service requirements. 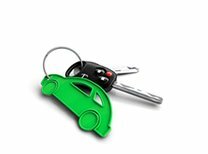 Whether the motor oil is petroleum based or synthetic will not affect warranty coverage. The manufacturer is required to cover all equipment failures it would normally cover as long as the oil meets the requirements and was not the cause of the failure. AMSOIL exceeds these requirements and has never been deemed the cause of an engine’s failure. Even so, AMSOIL has its own limited warranty, protecting you even further. In addition, the federally mandated Magnuson-Moss Act states that a manufacturer may not require the use of a specific brand of aftermarket product unless it’s provided free of charge. Note: If a car dealership, service center or other business states that using AMSOIL motor oil will void your new car warranty, ask for that statement in writing and send it to AMSOIL Technical Services. 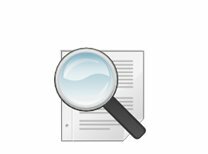 If the business won’t provide the statement in writing send AMSOIL Technical Services a letter identifying who made the statement, the name and location of the business and what the specific statement was. AMSOIL will then send a letter to the business informing them that their position is inaccurate and, in fact, violates existing law. Your name will be held in confidence. I was always told to change my oil every 3,000 miles if I wanted to properly maintain my vehicle. How is it possible to drive 25,000 miles without an oil change using AMSOIL? 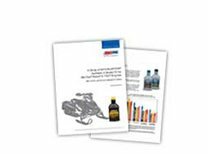 AMSOIL is designed to a much higher paradigm and has outstanding features and benefits compared to those contained in refined conventional oils. While AMSOIL’s price may be higher per quart than conventional oil, the cost of using AMSOIL is only a fraction of the cost of using conventional oil. AMSOIL extended-drain synthetic motor oils are more expensive off the shelf than most petroleum oils, but comparing AMSOIL and other motor oils is like comparing apples and oranges. AMSOIL motor oils are designed to deliver enhanced performance and extended drain intervals, justifying any higher price. AMSOIL offers premium products that rightfully command a premium price. Like anything of real value, however, the true consumer cost doesn’t end with the purchase price. AMSOIL synthetic motor oils are extremely cost effective compared to conventional oils recommended for 3,000-mile drain interval due savings realized in fuel economy, reduced repairs, fewer oil changes, reduced downtime, reduced maintenance and extended engine life. 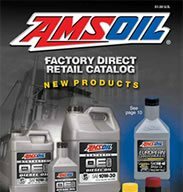 Nonetheless, AMSOIL offers the OE line of standard-drain synthetic motor oil, which is priced more comparably to other standard-drain oils. I bought a new car a year ago, and I’ve been running petroleum motor oil in it ever since. Could switching to AMSOIL now cause mechanical problems? Switching from petroleum oil to AMSOIL is perfectly safe. Should oil additives or aftermarket products be added to AMSOIL Synthetic Motor Oils? No. They detract from AMSOIL’s performance. You don’t need them. AMSOIL synthetic motor oils are formulated under the strictest quality control standards to provide superior lubrication performance. Additives cost money and only detract from the quality of AMSOIL synthetic motor oils. What’s the difference between conventional petroleum motor oils and synthetic motor oils? Conventional petroleum oils are refined; AMSOIL is designed to provide the benefits a refined product cannot provide. AMSOIL costs more than my regular oil does. How can I justify paying this higher cost? Can I mix AMSOIL with my petroleum oil? Yes, but you limit the performance of AMSOIL benefits by the product you mixed with AMSOIL. Yes, you can. There is no danger in mixing AMSOIL motor oil with another brand; however, a conventional petroleum oil will detract from the superior performance of AMSOIL motor oil. AMSOIL does not support extended drain intervals where oils have been mixed, since conventional oil’s service life is a mere fraction of AMSOIL’s service life. What benefits can people expect using AMSOIL Synthetic Motor Oils? Improved performance and fuel economy, reduced oil consumption, lower repair costs, easier cold-temperature starts and more. 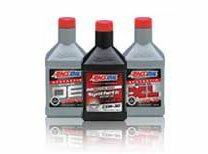 AMSOIL synthetic motor oils are formulated for improved performance and fuel economy, reduced oil consumption, lower repair costs, easier cold-temperature starts, increased engine life and reduced emissions..